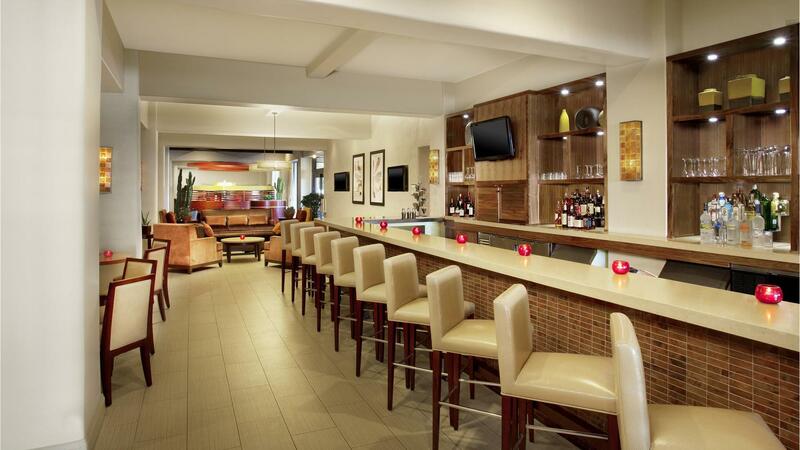 Rent Sheraton Albuquerque Airport Hotel | Corporate Events | Wedding Locations, Event Spaces and Party Venues. Sheraton Albuquerque Airport Hotel combines the familiar comforts of home with genuine Southwestern hospitality.. Our two ballrooms total more than 12,000 square feet of space and can easity accommodate up to 350 guests. Plan your Albuquerque wedding at our hotel, and say "I do" in one of our elegantly appointed wedding venues, from small spaces for intimate ceremonies to grand ballrooms. Our Albuquerque wedding venues can accommodate weddings as small as 50 and as large as 400 guests to share your special day. Located less than 200 yards from the Albuquerque International Sunport and minutes from major corporate and government headquarters, our Albuquerque airport event venues feature everything you need to plan a successful meeting, convention or corporate event. With 276 newly renovated guest rooms, over 12,000 sq. ft. of flexible meeting space, 10 break-out rooms and state-of-the-art audiovisual equipment and support, we can easily and efficiently host any group ranging from 5 to 200 people.